Scott joined the Charlie Palmer Group in 1997 as a line cook at the group’s flagship, award-winning, New York property, Aureole, and was tapped to helm Palmer’s Alva (later Kitchen 22) and Kitchen 82 as Chef de Cuisine. After seven years with CPG in New York, the Jersey-native headed to California and worked with Palmer at Astra West and subsequently with Wolfgang Puck at his renowned Spago. During this time, Scott continued to refine his straightforward approach and in 2007 relocated to Dallas, Texas, again with Charlie Palmer Group. 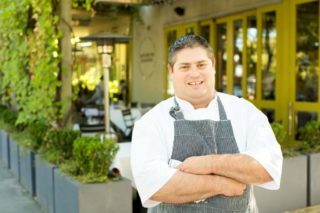 Upon opening Charlie Palmer at The Joule, Romano earned a four-star review from the Dallas Morning News. With continued passion for wild game, Scott explored his interest at The Frisco Gun Club and Nick & Sam’s Steakhouse.